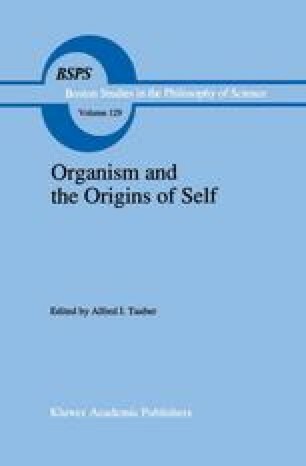 It is difficult to know where to begin an essay on the problem of immunological discrimination between “self” and “nonself” and the paradoxes created for this discrimination by the phenomenon of autoimmunity. As Sherlock Holmes once commented, “These are much deeper waters than I had thought.”  Much of my subject is mysterious not only to me but apparently to everyone who has investigated it. Therein lies a clue. The subject itself is a mystery, and therefore calls for the approach of the mystery writer. But this “who done it” differs from most in drawing its characters not only from the human society, but from the animal, microbial, cellular, and even chemical realms as well. I will trace, as novelists are wont to do, their lineage, their personal histories and, of course, their interactions. As a result, this is not the usual story of autoimmunity that is laid out in the few histories of the field that exist  or in textbook accounts, especially since I have focused upon the contradictions and paradoxes inherent in our current knowledge, and the gaps in it, rather than upon the myriad facts and inadequate explanations that are the usual fare. But my approach has its inadequacies, too. Most importantly, it provides no conclusion; only clues. I can only hope that, perhaps, if the plot is devised properly, some budding Sherlock Holmes will perceive the importance of the clues that even the writer overlooks. Paradoxes play a key role in the advancement of science. They are associated with excitement, and with the knowledge that we must be looking at something the wrong way. The clear formulation of a paradox can herald important advances, since the resolution of the paradox is generally a conceptual step forward. It is therefore of paramount importance to identify paradoxes and focus attention on them. G.W. Hoffmann, J.G. Levy, and G.T. Nepom, Paradoxes in Immunology, 1986.